Not Knowing Thy Customer: The Cardinal Marketing Sin? So why share it with you? Well, thankfully I’m not “senior” (i.e. a pensioner) or “disabled”. I travel a fair bit (but not by coach). Unfortunately, this mailer represents a waste of marketing money (printed and using postal mail which is extortionate in the UK), bad PR and ultimately a lack of customer insight. Bad times. At Wavelength we help brands to define and develop value propositions that meet target customers’ needs. It takes time and is easier said than done. Receiving a letter from an organisation the size of National Express (2012 accounts showed: Turnover £2,125,900,000, market capitalisation £1,258,846,000 and 37,404 employees) illustrates this point. It’s crucial companies understand their customer. They can then focus marketing resources far more effectively and efficiently. Occupants – Who are the customers (psychographically)? Objects – What do they buy? Occasions – When do they buy? Organisations – Who participates in the buying? Objectives – What ‘job’ does your value proposition help them complete? Outlets – Where do they buy from? Operations – How do the transactions take place? 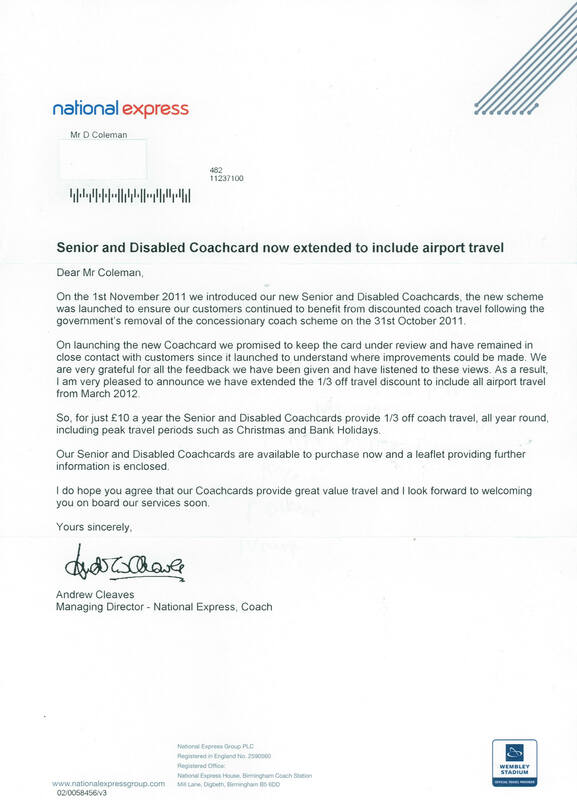 Addressing such issues helps them prevent the cost error National Express has made. Less haste more speed. Why Should Brands Focus on Emotional Benefits? Every few months a donkey sanctuary sends me a mailing addressed to ‘Master Pepworth’. I even get a Christmas card every year. I have never visited, donated or indeed shown any interest in the world of distressed donkeys but still this charity persists. As for the ‘Master’ business a) should they be writing begging letters to people they perceive to be children and b) haven’t we moved on from Enid Blyton honorifics? Thanks for your interesting anecdote. Unfortunately, broad brush brand communications is a common problem. The answer to a) and b) is a resounding no (but the ‘master’ is quite catchy d;-). It was only earlier today that I was talking to a client about focusing their brand communications. The issue they have is they don’t understand their customer in detail and so don’t know who to communicate to, how to communicate and so forth. A blunderbuss approach probably went out of fashion when the Famous Five came in! It’s more to do with laser accuracy now. Thanks for the post and hope all’s well.